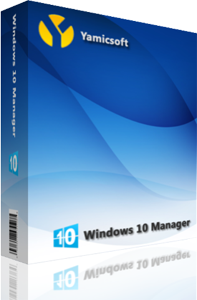 Windows 10 Manager Free Download Latest Version For Windows OS (XP-7-8 and 10). Get the offline installer standalone setup file of Windows 10 Manager with a single, direct and secure link. The downloaded setup file is compatible with both Windows 32 and 64-bit versions. Windows 10 Manager is a complete and powerful all in one tool that contains more than 40 unique utilities designed specially to optimize, clean up, tweak, repair and speed up the performance of Windows 10. So finally it helps you make you Windows 10 performs faster, increase security and stability! Windows 10 Manager is a specialized program for Microsoft Windows 10 users, which works to maintain Windows and repair the frequent errors encountered on a daily basis. It is a tool with which you can clean, optimize, adjust and repair your operating system. If you have Windows 10 installed on your computer, you need to download Windows 10 Manager. As the name suggests, Windows 10 Manager is a complete system optimization tool to optimize and increase the speed and performance of the Microsoft operating system. Windows 10 Manager includes all the utilities you need to clean and remove unnecessary files, temporary files, residual files that have been left after uninstalling programs, deleting duplicate files and junk files, which will give you more free space on your computer hard drive. Since its main function is to optimize Windows 10, within Windows 10 Manager application you will find an essential tools that will allow you to improve the performance and improve the speed of the computer, manage and configure the Windows Start menu according to your preferences, control which programs start automatically after turning on the computer and repair those items that are damaged. 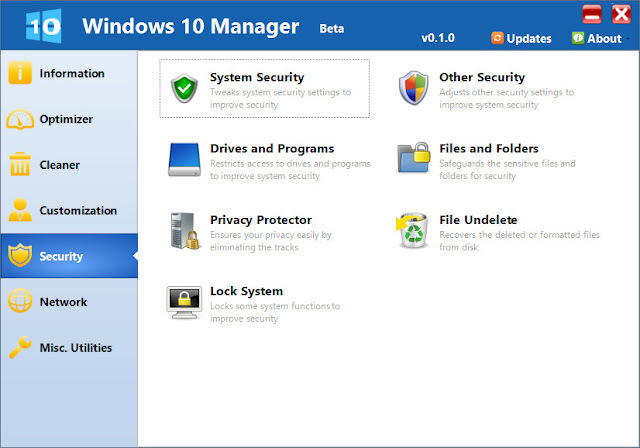 Windows 10 Manager also includes security features to adjust the operating system, its components, change the Windows login settings, restrict and block access to certain hard drives or certain programs. With Windows 10 Manager you can also protect your files and folders so that nobody without your permission can access them. And through the "File Undelete" option of Windows 10 Manager, you can recover and restore those files that have been deleted accidentally, even after formatting the hard disk. Although these are the main features and functions of the program, in Windows 10 Manager you will find more than 40 utilities with which you can get the most of Windows 10, to optimize your Internet connection, check the use made of the hard disk or the available space and much more. What are you waiting for? You can download Windows 10 Manager for free on your PC. 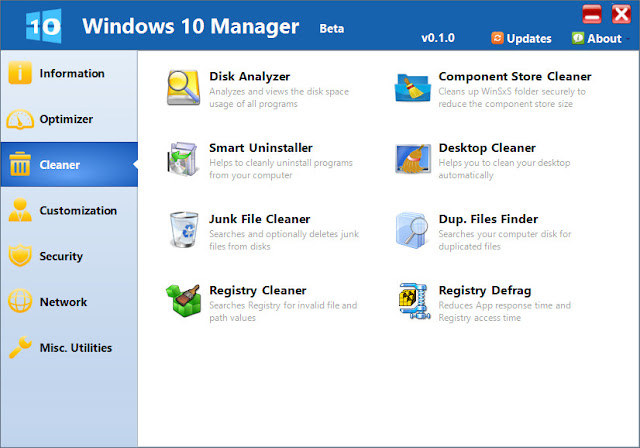 Software Name: Windows 10 Manager Free Download. Click on the button below in order to download Windows 10 Manager for PC. It's a complete offline installer and standalone setup for Windows 10 Manager. This file would be compatible with both 32 and 64-bit windows.